When we first started talking about the all-white dress, Bonnie’s initial comment was just how unflattering white tends to be. We all know dark colors are slimming, and white is … not. Plus, bright whites tend to sort of wash a person out; there are very few skin tones that are truly flattered by white, and even those tend to look better in a color. Still, I couldn’t help but think that brides pull it off every day! Most of the girls and women walking down the aisle where bright white, and most of them look truly lovely. So I spent a bit of time mulling the issue over. 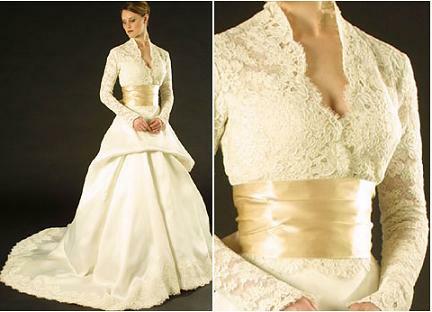 Does the traditional construction of wedding gowns, with fully boned corset-style bodices and full skirts, successfully compensate for the not-so-slimming color? Are the fabrics used in wedding gowns – satins, silks, brocades, lace and chiffon – more flattering than what we normally wear? Are we just completely BRAINWASHED to believe that brides look beautiful, regardless of how true this might be? I believe the answer to all three of these is “yes”. So the bridal gown was my jumping off point for creating a design for Bonnie’s white dress. If brides can pull it off, there’s no reason why Bonnie can’t. This is the most bridal of my ideas for Bonnie’s dress. As you can see, this basically looks like a bridal gown, cut short at the knee. 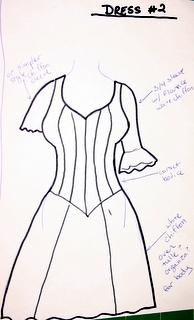 The idea was to work with a fully boned corset as the bodice, with a halter neckline since that’s flattering to Bonnie, and a full A-line skirt. 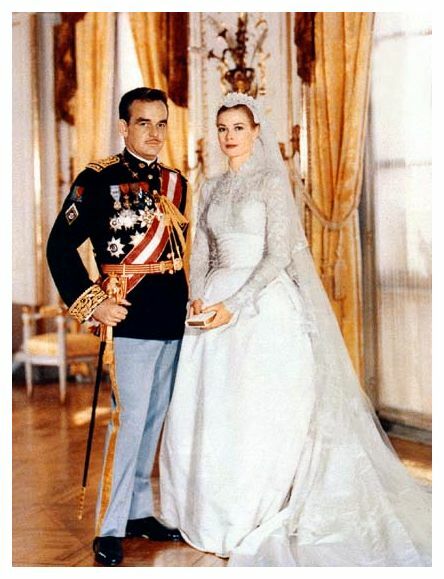 The entire dress would be made of white satin, and I thought that adding some floral lace appliques in an asymetrical pattern, sort of sweeping down from the waist to the hem on the opposite side of the dress, would add visual interest and have a slight slimming effect. I’d specifically imagined looking for flowers that would compliment the Hawaiian shirts the men wear on these occasions, and thought the flowers could possibly be an accent color rather than just more white. My concerns with this design, and the reasons I kept redesigning, were that the heavy satin fabric would be too formal next to men wearing white pants and pastel Hawaiian shirts. 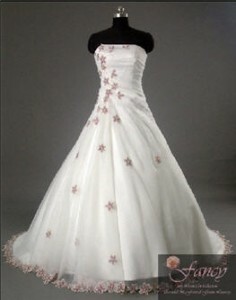 The gown was really going to look like a bridal gown, and might not compliment them as well as another style might. I was also aware that the satin would probably be HOT when Bonnie performs outdoor gigs, and I thought a lighter weight fabric might be preferable. I thought it might soften the dress, and make it just slightly less formal and also less likely to induce heat stroke, if we introduced some chiffon rather than making the entire gown in satin. 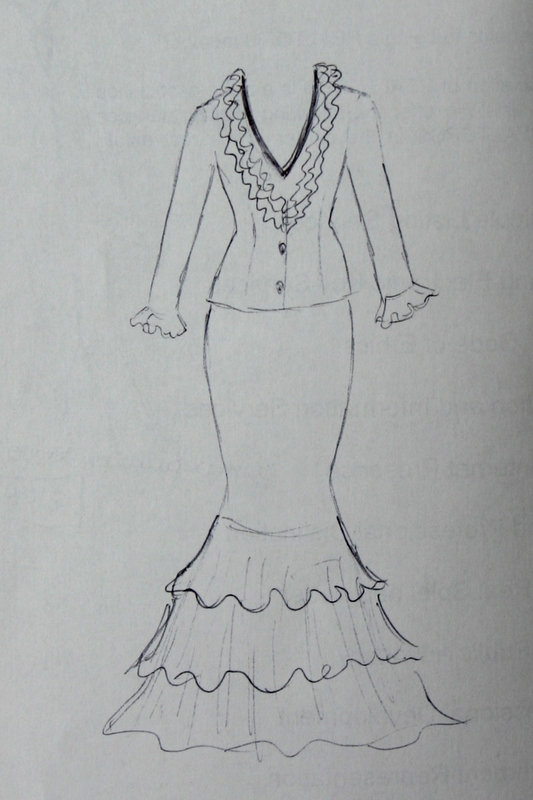 Design #2 is largely the same as the first, but with a softer, chiffon skirt. 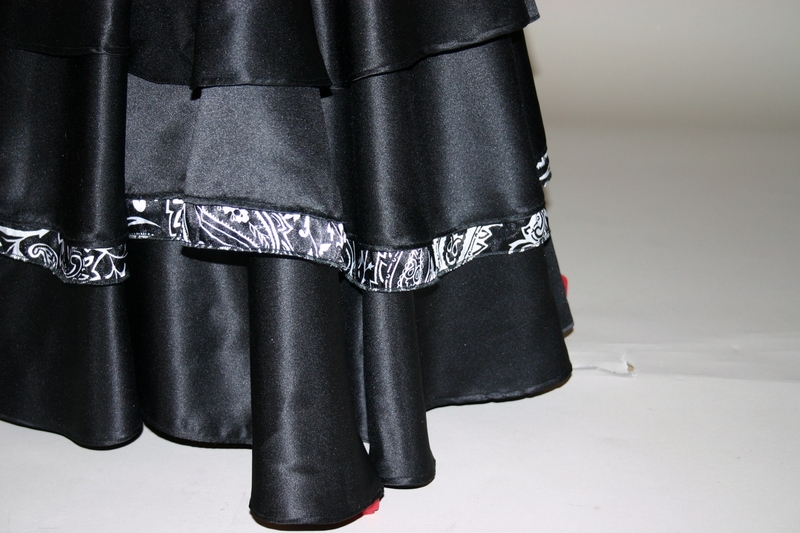 I was still thinking of a full A-line skirt with plenty of body, so I thought about possibly layering the chiffon over a single layer of heavier fabric (tafetta perhaps?) or a few layers of tulle. Since the whole halter neck corset bodice with tulle skirt was a bit too similar to the wedding dress my cousin plans to have someday (and no doubt influenced by Bonnie describing her daughter’s plans to me) I abandoned the halter neckline and switched to a simple sweatheart neckline, with sleeves. 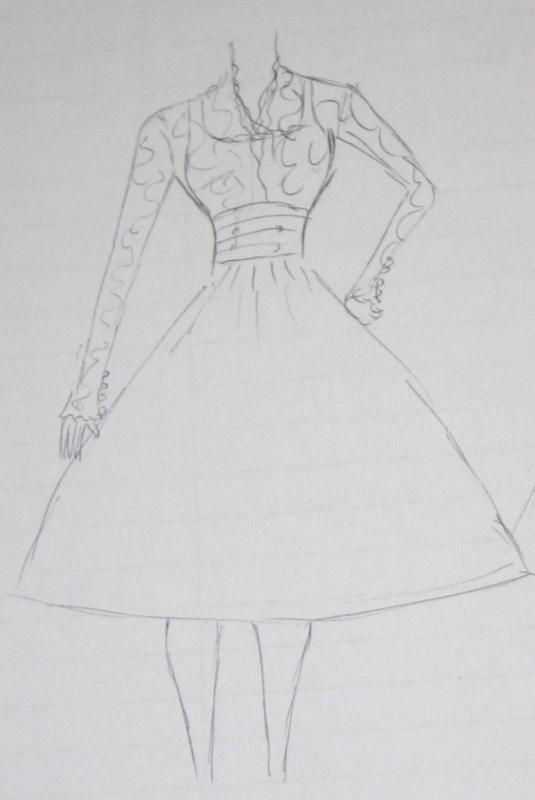 I figured the chiffon would do nicely for the sleeves, and sketched out two different possible shapes. 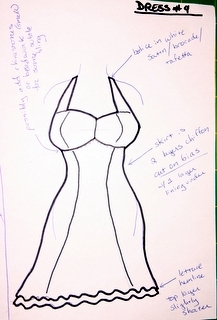 I didn’t have the same feeling of “this won’t really work for the occasion” that I did with the first dress, but as I sketched out this design various modifications came to mind. 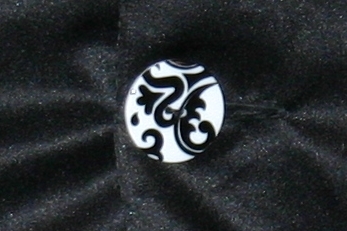 So on to the third design. Well this is scarcely different from my second design. The biggest change, was to work with an underbust corset and separate bodice. 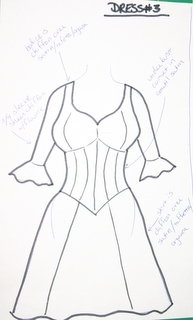 Looking at my first two sketches, I couldn’t help but feel that the overbust corset was going to be less flattering. The empire waistline is so great on Bonnie, and an underbust corset could provide that same affect. 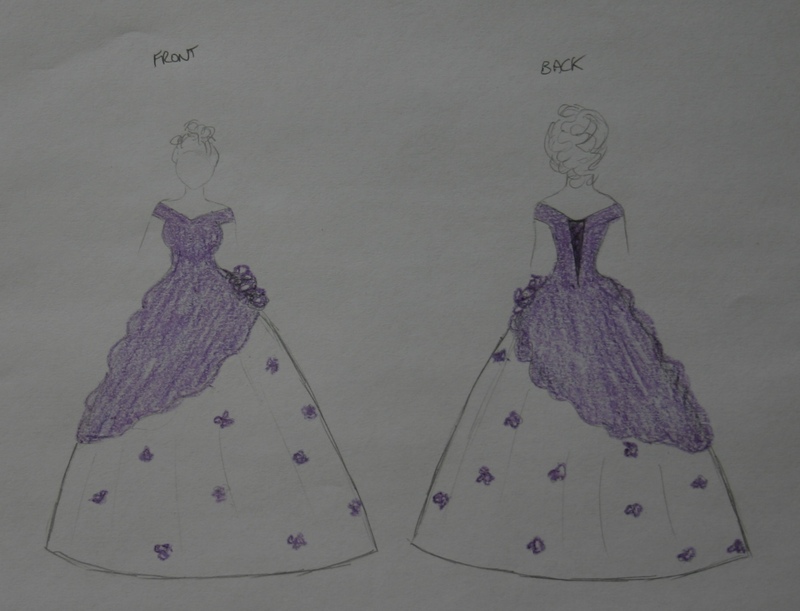 My second sleeve concept for the dress design #2 got me thinking about a dress with a bit of a Renaissance feel. 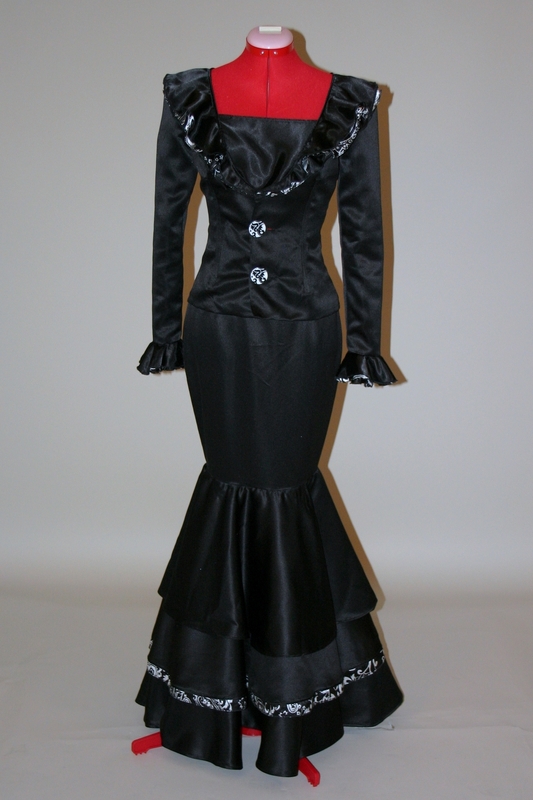 The underbust corset and 3/4 sleeves with flounces. Again, I pictured satin for the corset, and softer chiffon (over a lightweight but not see through fabric) for the bodice and skirt. 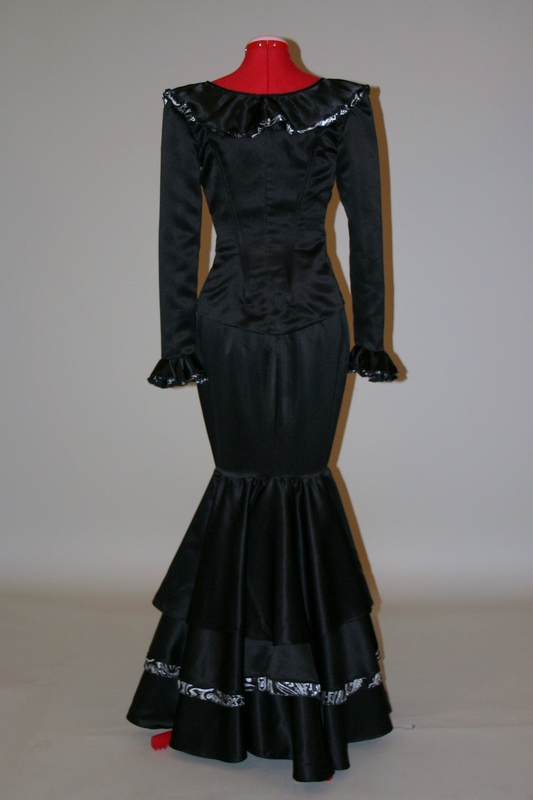 I think the contrast there between the sleek satin and the chiffon would have a slimming affect too. This fourth design came to mind because, as I switched to the underbust design in my third dress, I kept mulling over Bonnie’s black and blue dress that had turned out so flattering. Why not do it again? This fourth dress would use the same pattern from her black and blue dress. Rather than reinvent the wheel, we’d use a tried-and-true design, and also save time and money on patterns. 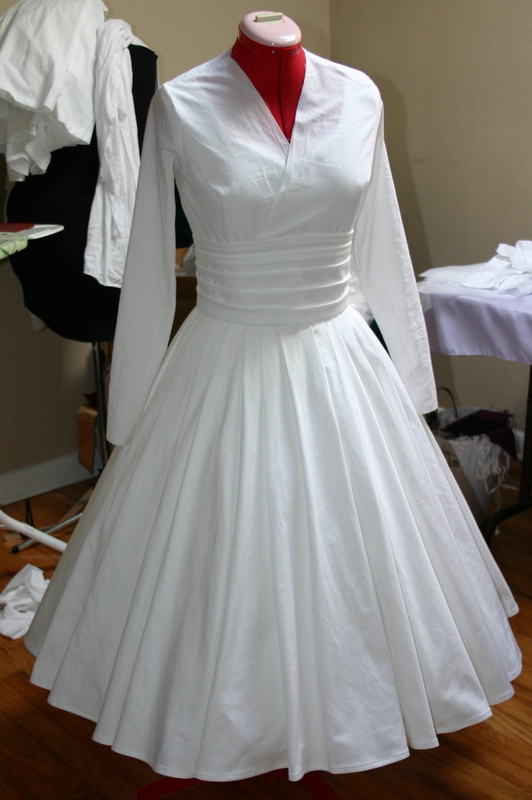 I pictured satin or taffeta for the bodice, and a double layer of chiffon over an opaque lining fabric. I got the fabulous idea here to cut the chiffon on a bias, and take full advantage of the extra movement that would provide. I thought having two layers, the top one cut slightly shorter than the bottom, with a lettuce edge would make the whole thing very soft and feminine. I frankly fell in love with this one once I decided on the bias cut. I pictured the skirt moving with Bonnie when she walked, and short of fluttering in the wind when she’s doing outdoor performances. I also imagined that this would by far be the coolest and most comfortable for wearing outdoors in the Florida summer. I showed Bonnie all four sketches, and we talked them over a bit. Bonnie’s first reaction was that she loved Design #3 and thought it looked very romantic. She also agreed that the halter neckline would be cooler. So, the final call was to kind of blend the third and fourth designs. 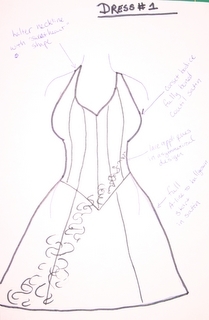 Our plan is to use the same bodice and halter neckline from her Black and Blue Dress, made of satin with a soft layer of chiffon on top, a fully boned satin corset through her midriff, and the double layer bias cut chiffon for the skirt. I think it’s going to look awesome! That’s the plan! 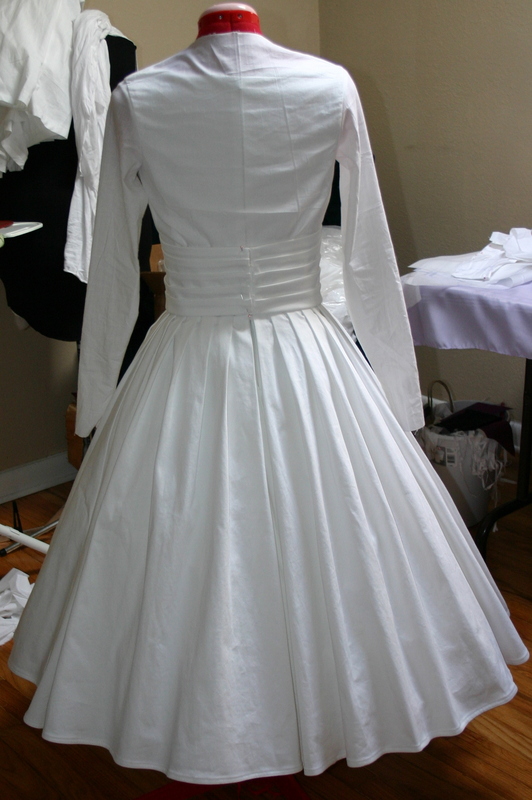 I’m working on a muslin for the corset now, and I’ll post about that soon.